Amused social media users have taken to Twitter following claims by the Director of National Intelligence, James Clapper, that RT’s reporting on US issues was part of a campaign to influence the US election. Clapper was briefing the Senate Armed Services Committee on Thursday, at a hearing about cybersecurity challenges. “Whatever crack, fissure they could find in our tapestry, they would exploit it,” he continued. The comments prompted a wave of reactions from social media users who ridiculed the notion. Clapper went on to say that Russia’s use of fake news and hacking to interfere in the US election was cause for “grave concern”. "I don't think that we have ever encountered a more aggressive or direct campaign to interfere in our election process," Clapper claimed, adding that Russia poses an “existential threat” to the United States. He admitted, however, that the alleged hacking didn’t influence the outcome of elections. 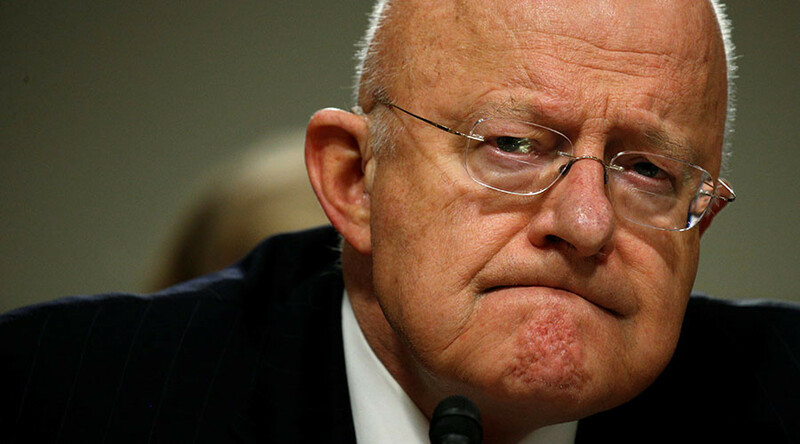 Twitter responses to Clapper’s testimony ranged from the incredulous to the hilarious. Clapper says RT is fake news,propaganda-well then why did RT pundits like Ed Schultz & Thom Hartman support Hillary? WAKE UP! DNI Clapper saying the #russianhacking was an act of espionage, not an attack "per se" and that US engages in similar behavior. As a method of countering Russian interference, Clapper suggested re-establishing the United States Information Agency, the body that oversaw US government propaganda between 1953 and 1999 before being replaced by the Broadcasting Board of Governors (BBG). “We could do with having a USIA on steroids to fight this information war a lot more aggressively than we’re doing right now,” Clapper said. This statement also sparked a response with several people suggesting the body already existed it just isn’t doing its job very effectively. Cha-Ching! RT @emptywheel: Clapper endorses a US Info Agency on steroids. Last month President Barack Obama asked US intelligence agencies to conduct a full review of alleged “Russian hacking.” Clapper told Congress that an unclassified version of that report will be released to the public "early next week".